The Mayor wants to back your ideas for London. Community groups, crowdfunding the best innovative projects that bring local places to life, could receive a pledge of up to £20k towards their campaign this summer. We’re looking for ideas that benefit the whole neighbourhood and have plenty of local support, so add your project today! We know Londoners are full of amazing ideas. By working together, we hope we can make a big difference to neighbourhoods across the capital. Find out more about the Mayor’s Crowdfunding Programme here and share with people you think should get involved. 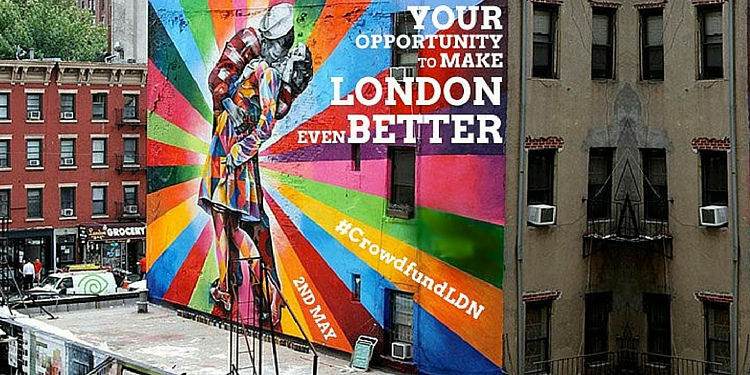 Follow the programme on Twitter with #CrowdfundLDN.